← Will ‘Net Neutrality’ Fall Victim To The New House Leadership? The article goes on to quote another interesting statistic from the National Adoption Attitudes Survey, which found that nearly 40 percent of U.S. adults have considered adoption. That’s 81.5 million people who have considered. If 1 out of every 500 of those people actually followed through and adopted a child in need, every child in foster care would (at least mathematically) be placed in adoptive families. If you are thinking about adoption, or are interested in doing more to promote adoptions in this country, you may want to check out the Dave Thomas Foundation, which is dedicated to increasing the numbers of adoptions in the U.S. Give some serious thought to adoption, particularly in times where we are looking at a world that is likely to have insufficient resources for the people already populating the planet. 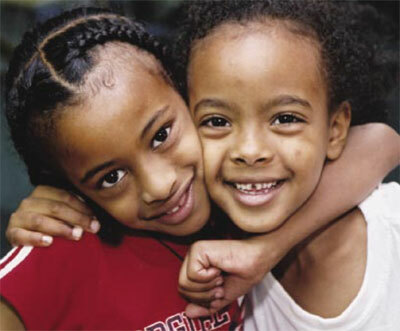 If you are interested in legal issues involving foster care and adoption, particularly large scale public policy issues, you should consider contacting the National Center for Youth Law (NYCL), one of the foremost legal advocates in the area of foster care. I was fortunate to have done an internship with NYCL during law school, and know the enormous contribution they are making to improve foster care conditions for children all over the country. In particular, NYCL publishes a “Foster Care Reform Litigation Docket” that details their important work in this area, which is just one of their many areas of work on behalf of poor children. This entry was posted in Children & the Law, Foster Care and Adoption and tagged Adoption, Child, Children Youth and Family, dave thomas foundation, family, Foster care, national adoption month, National Center for Youth Law. Bookmark the permalink.